We are close knit family.She has done M.Com n B.Ed n UGC NET QUALIFIED in Commerce n also pursuing M.A. 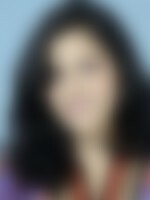 In Education.She is a Lecturer in a CBSE School as PGT Commerce previously she was in a degree college as Assistant Professor. She is very religious and down to earth. Her father is a businessman while her mother is a working professional. She has 1 sister.